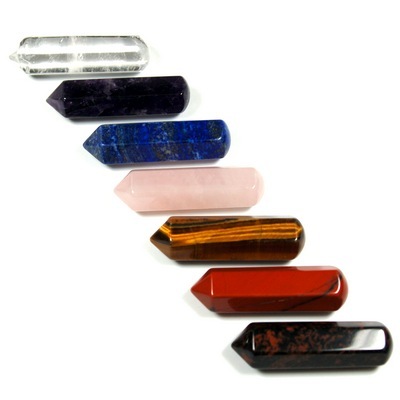 Can I store my crystals together in the same box? I'm thinking of wrapping my crystals individually in muslin, Thank you. Thanks for your inquiry. Crystals can be stored together in the same box. I find they enjoy each others energy and tend to complement each other. If you are concerned that they will become damaged (especially with softer crystals), you can wrap them in a cloth before you put them in the box. I prefer to use natural materials that won’t block the crystals energy whenever possible, so muslin is a great choice. Please let me know if you have any other questions. May your journey be blessed with Love and Light.